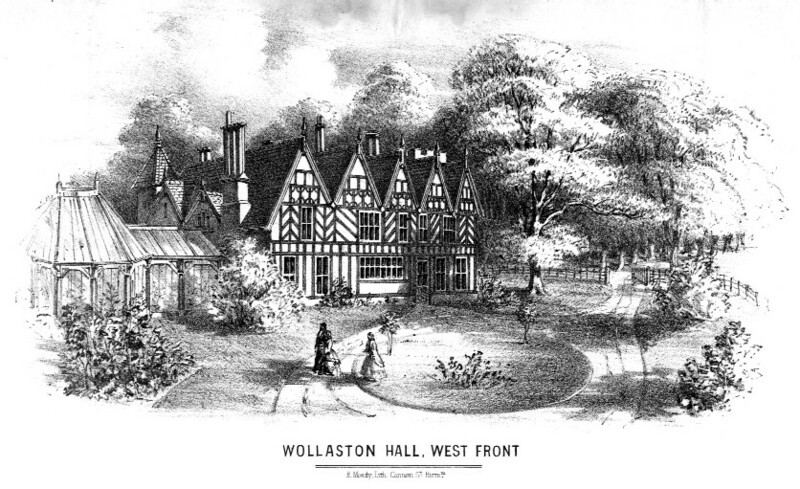 Plans for a housing development on Wollaston Farm were first discussed by Stourbridge Council in the 1930s. The war meant that there was a delay in planning and construction until the 1950s. In August 1952 the plans were finally approved and building began in 1952. 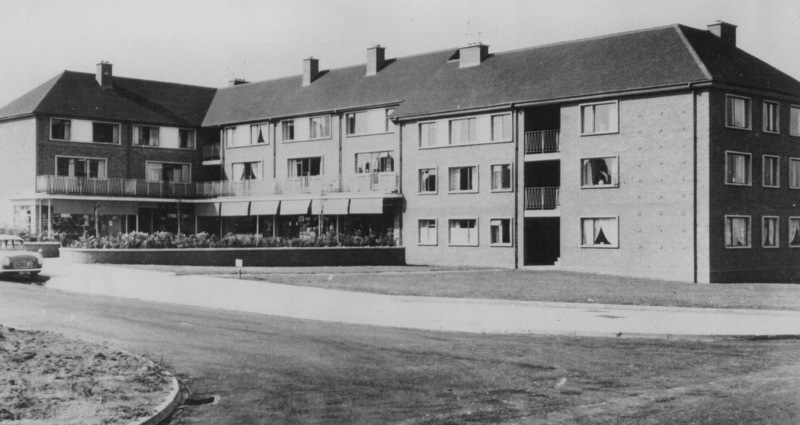 Building was planned in stages and the shops and flats shown here were completed by May 1954. The main road which ran round the boundary of the estate was named The Kingsway and over 600 houses were built. This photo shows the row of shops just below Meadow Park Infants’ School, which opened in 1959, now St James’s Primary School. Remember this place quite well, when mom used to pick me up from Meadow Park. Used to have a female friend named Melanie Bunn who used to live in a flat above the shops. In the 1960’s the shops from left to right were a greengrocer’s, a knitting shop, a butcher’s, Wrenson’s the grocers and the paper shop where I would run to get the Sports Argos at 5.15 on a Saturday. The courtyard in front had pink and beige paving slabs like a giant Battenberg cake where the girls from the Kingsway played hopscotch. My parents and I moved into 1 of the flats in Dorset Road in 1953. Previously we had been living in 1 room in my grandmother’s house in Stourbridge. The only heat was an open fire in the living room and the coal shed was inside the flat.